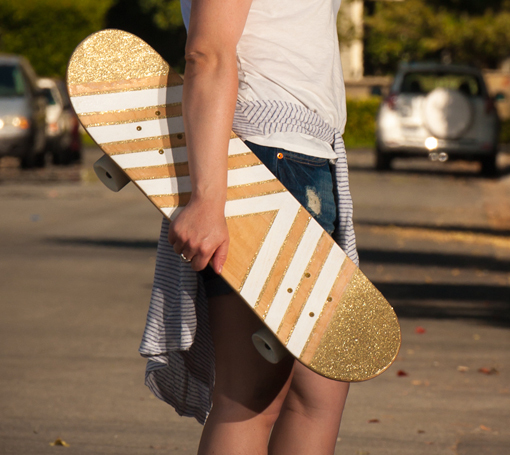 It's no secret that I love anything that sparkles, and if you've been following along you'll know that I'm learning to skateboard this summer. So of course I jumped at the chance to mix these two together. 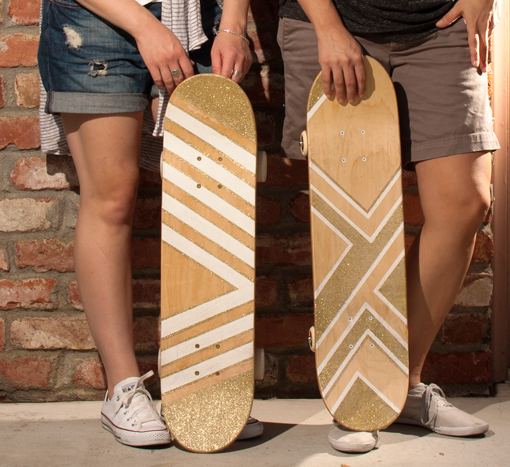 And I had the pleasure of collaborating on this project with my good friend Carissa from Gesture Boards! 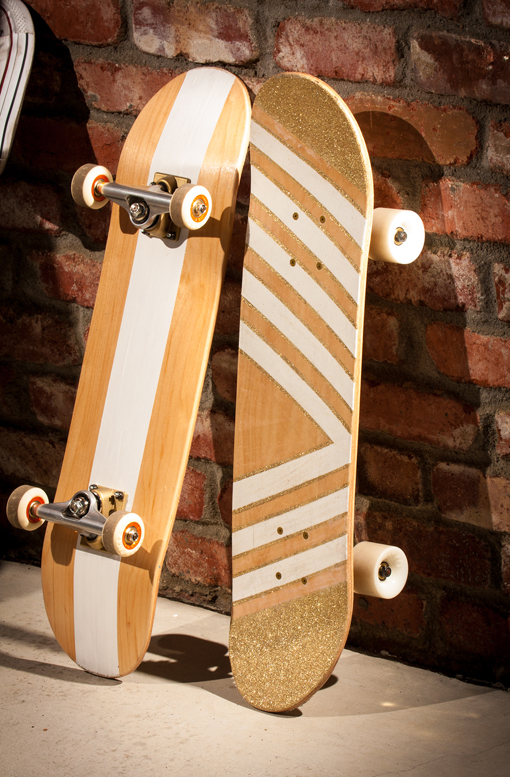 We designed two unique pattern for the decks and documented each step in the making process so that we could share with you! So stayed tuned tomorrow for the DIY steps on how to make one yourself!! Love this post! 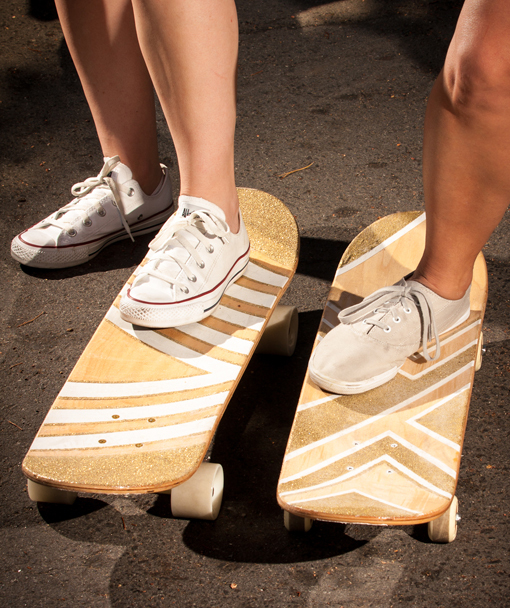 It's great to see you both having so much fun on such pretty boards! I am sure that you will master it soon, although admittedly, my favorite photo is the last one. Well done!